This sample is a simple project including hydraulic erosion to help you get you started with Instant Terra. See also the Getting started tutorial and the YouTube video tutorials. 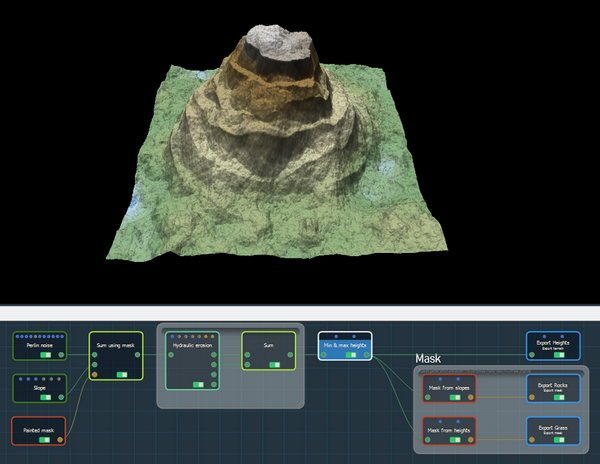 To begin, two terrain generators and a Painted mask node are linked by a Sum using masks composition node. 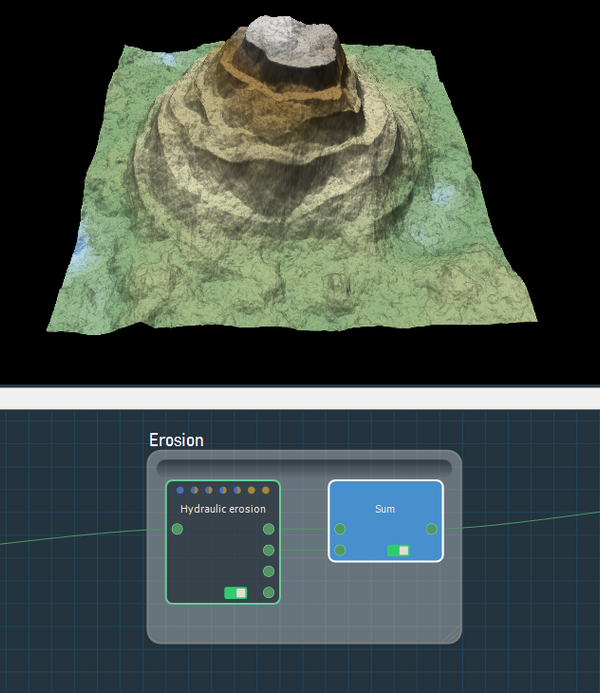 The output terrain is linked to a Hydraulic erosion node. The eroded terrain and the sediment elevation output connectors of this node are summed. 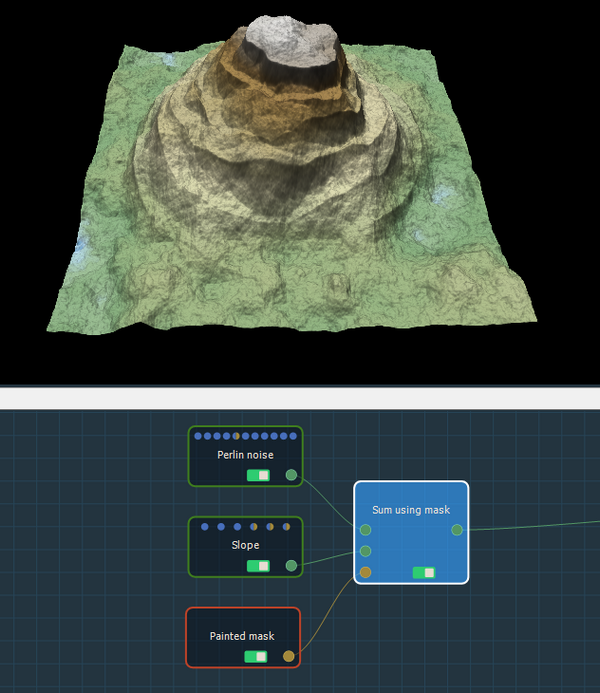 The Min & max heights node sets the minimum and maximum heights of the terrain that you can then export. 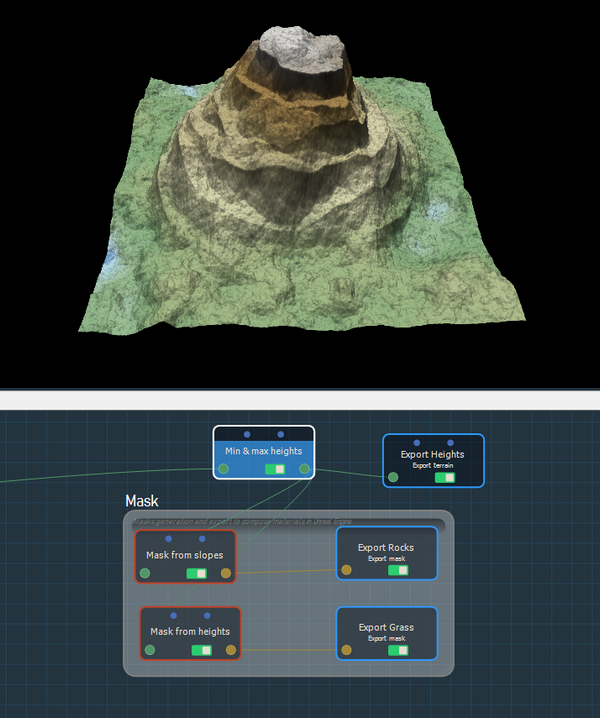 Masks are created and exported from the slopes and heights of the terrain to compose materials in Unreal Engine.